Chris Rupe co-authored the book Contested Bones with John Sanford to tell about the inadequate evidence for human evolution. The book is almost entirely about bones and the fossil record, but there are 3 pages in that book that refute claims by evolutionary biologists that the human genome is badly designed because of repetitive DNA elements known as Alus. But I knew there was likely a skunk in this evolutionary reasoning. I can usually smell it miles away. 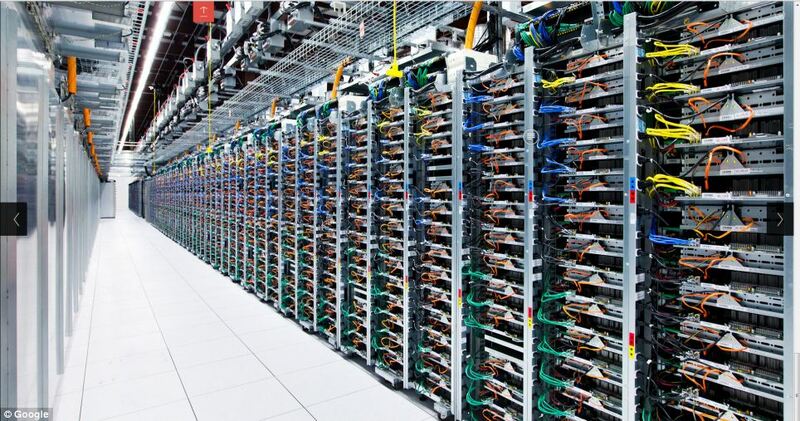 For example, if you looked at this server farm and saw all the repeated copies of computers and memory, would you conclude it was bad design? Binary use of A or I in millions of sites in the neural cell transcriptome can be considered equivalent to the 0’s and 1’s used for information storage and processing by computers. It is tempting to speculate that the more abundant RNA editing found in the human brain may contribute to the more advanced human capabilities such as memory, learning, and cognition. This suggestion is consistent with the hypothesis that the advantage of complex organisms lies in the development of a digital programming system based on noncoding RNA signaling. The combinatorial posttranscriptional RNA editing of noncoding sequences may therefore contribute to higher brain functions. [T]here are over 100 million human Alu RNA editing sites [in each cell], located in the majority of human genes. I did a back-of-the-envelope calculation, and if each brain cell has a hundred million such Alu binary bits, and if each brain has 100 billion cells, then that about 1019 bits of memory! That is staggering, and that is consistent with the claim that the human brain has more connections than all the routers on the World Wide Web! There are also lots and lots of DNA sequences that are nonsensical. For example, there are about one million virtually identical Alu sequences that are each three-hundred letters (nucleotides) long and are spread throughout the human genome. Think about it: there are in the human genome about twenty-five thousand genes, but one million interspersed Alu sequences; forty times more Alu sequences than genes. It is as if the editor of Signature of the Cell would have inserted between every two pages of Meyer’s book, forty additional pages, each containing the same three hundred letters. Likely, Meyer would not think of his editor as being “intelligent.” Would a function ever be found for these one million nearly identical Alu sequences? It seems most unlikely. Well, it seems Ayala (writing for Biologos) didn’t make a monkey out of everyone after all, but at least he succeeded in making a monkey of himself. Primate-specific Alus constitute 11% of the human genome, with >1 million copies, and their genomic distribution is biased toward gene-rich regions. The functions of Alus are highly associated with their sequence and structural features. Alus can regulate gene expression by serving as cis elements. Pol-III-transcribed free Alus mainly affect Pol II transcription and mRNA translation in trans. Embedded Alus within Pol-II-transcribed mRNAs can impact their host gene expression through the regulation of alternative splicing, and RNA stability and translation. Nearly half of annotated Alus are located in introns; RNA pairing formed by orientation-opposite Alus across introns promotes circRNA biogenesis. Alu elements belong to the primate-specific SINE family of retrotransposons and constitute almost 11% of the human genome. Alus are transcribed by RNA polymerase (Pol) III and are inserted back into the genome with the help of autonomous LINE retroelements. Since Alu elements are preferentially located near to or within gene-rich regions, they can affect gene expression by distinct mechanisms of action at both DNA and RNA levels. In this review we focus on recent advances of how Alu elements are pervasively involved in gene regulation. We discuss the impacts of Alu DNA sequences that are in close proximity to genes, Pol-III-transcribed free Alu RNAs, and Pol-II-transcribed Alu RNAs that are embedded within coding or noncoding RNA transcripts. The recent elucidation of Alu functions reveals previously underestimated roles of these selfish or junk DNA sequences in the human genome. Additionally, Alus harbor about 25% of the CpG dinucleotides in the human genome which are methylatable, and hence can provide 25% of the DNA methylatable RAM for chromatin computation in the cell. If one doubts the existence of chromatin computation in the cell, one might do well to check this paper in PLoS One. So not only do Alus provide RAM/EPROM in the human RNA transcriptome, they provide RAM in the DNA genome/chromatin computers in the form of CpG dinucleotides. The computer-like sophistication of Alu processing boggles the mind. It’s likely a pure coincidence, but it’s a amusing to compare Alu in biology with ALU in the computer world where ALU in the computer world is an acronym for Arithmetic Logic Unit. Salvador Cordova has appeared on National TV, radio shows, newspapers, books and magazines for his work in promoting Intelligent Design and Creation Science. He is a former scientist and engineer in the aerospace and defense industry and presently serves as a professor and researcher in the area of Christian apologetics at small Bible College. He has four science degrees and is working on a PhD. For his previous entries on CEH, see his Author Profile.